While the movie ‘Snakes on a Plane’ is just a touch unbelievable, I’m sorry to inform you that the concept of snakes flying isn’t. There are actual flying snakes – and they don’t need no airplane. Other animals and even planes use wings that fix in place to catch wind and generate lift, but we all know snakes don’t like to conform (limbs are so mainstream). So instead the paradise tree snake has adopted a completely different way of gliding through the trees and into our nightmares. How exactly does this snake fly? First it manages to scale a vertical tree trunk by pushing its ridge shaped scales against the wood. Once it selects a branch it begins to hang from it, making a J shape with it’s body. From here it jumps. Swinging up and away from the branch it manages to flatten its body till it’s roughly double in width and accelerates into the jungle. It does this by squeezing flat it’s guts and flaring out it’s ribs, which sounds super comfortable, but actually helps it to become more aerodynamic. Now this isn’t just a snake falling from a tree; the paradise tree snake actually has great control over the direction it travels. As it glides through the air it makes undulations with it’s body starting from the head downwards. It’s the most dynamic form of flight by any animal, as they fly they’re continuously doing the Mexican wave with their body. 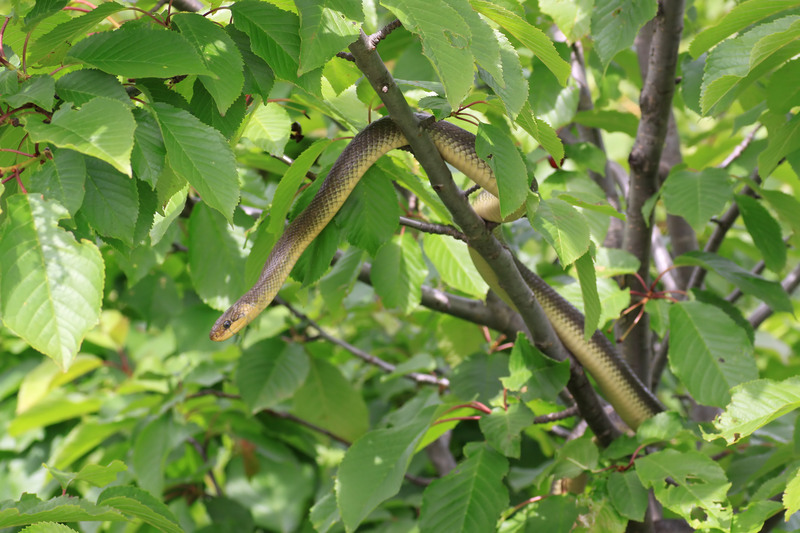 The paradise tree snake is found in parts of South East Asia, so if you’re taking a walk around there, just be careful. Because you could get hit in the face by a snake. Socha, J. J. (2002). Kinematics: Gliding flight in the paradise tree snake. Nature, 418(6898), 603-604. Socha, J. J., & LaBarbera, M. (2005). Effects of size and behavior on aerial performance of two species of flying snakes (Chrysopelea). Journal of experimental biology, 208(10), 1835-1847.